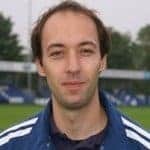 David has moved from full-time teaching into the role of Head of Youth Development, overseeing all areas from the U15’s through to the Academy team itself. 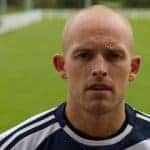 He is a UEFA B qualified coach and has played at a variety of levels before stopping after a succession of knee ops to concentrate on teaching and coaching. Danny is a local lad and fans’ favourite from his years as a first team player at Nethermoor. He is also a UEFA licensed coach and an important part of Dave Currie’s staff. Colin represented Warwickshire County at youth level before he moved to Kent. Here he played for Canterbury City FC for two seasons. After moving to Norfolk, Colin managed and coached his own side in Norwich before continuing his coaching education with the Norwich City FC Academy team. 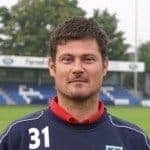 Colin is currently the administrator and a coach for Guiseley AFC Academy and the manager of Wharfedale FA U17’s. Carl graduated with a degree in Sports Coaching and now operates goalkeeping coaching company CK Goalkeeping. He holds a Level 2 goalkeeping coaching qualification and will soon hold a UEFA B coaching licence. Carl also currently coaches the West Riding County FA U18s, having previously coached young goalkeepers at Bradford City.